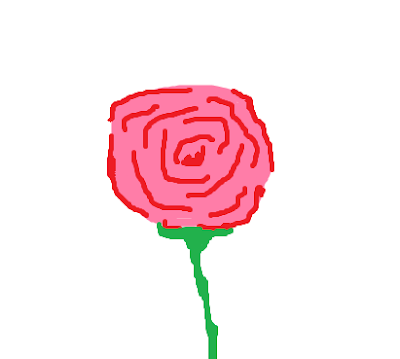 The other day when I was sitting in lab class in college, and waiting for the professor to arrive, I was just doodling in Paint and came up with this sweet and easy rose here ! So , I thought of making a tutorial to let you all know how simple it is and just requires Paint , which is available in any . just any windows ! Not some hi-fi photoshoping tricks and techniques required, you just need to know how to use a mouse pointer , which we all know ! I made this step by step tutorial for you all! 1.Select the base color of your rose, preferably a light color. 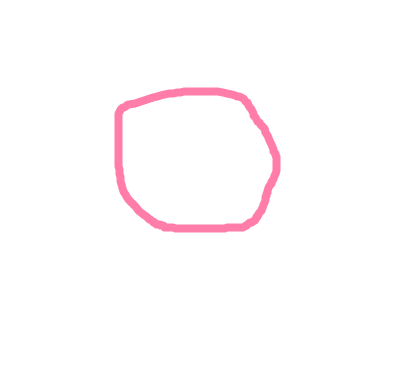 and draw a random circle-ish kind of shape with the pencil tool, not a circle! 3.Choose a dark color for the accents.I chose red. 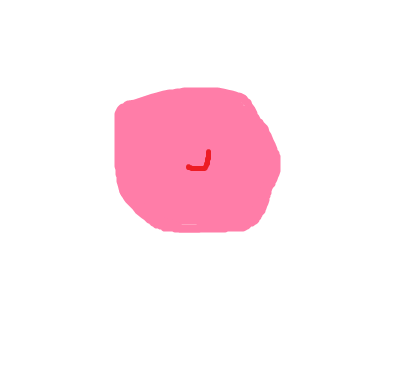 Start drawing small 'U's starting at the center. 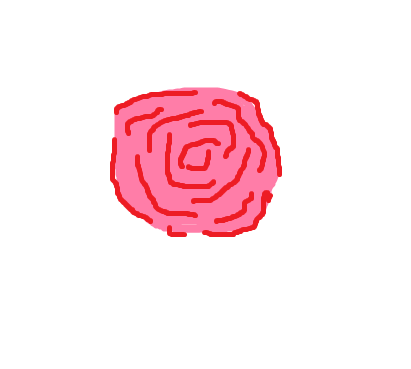 4.Roughly outline the shape leaving a few gaps. 5.Keeping the two "U"s of the center portion , draw bigger "U". 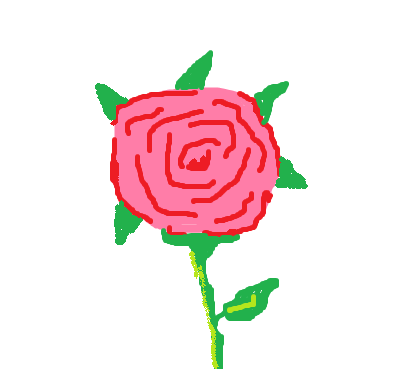 6.Draw the stem and leaves the way you want ! And the best part is , You are sure to have loads of fun while you draw this ! 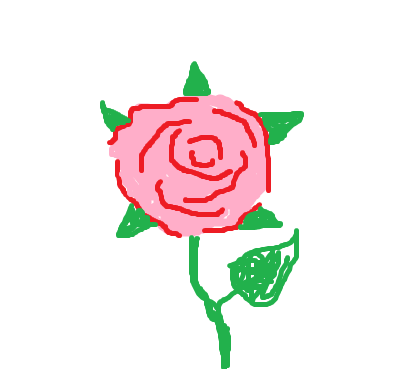 Hope you enjoy doodling this as well! I like to do something fruitful out of my time! I can always talk to my friends in the hostel! thanks for the tutorial! love it! hope you have fun doodling this!